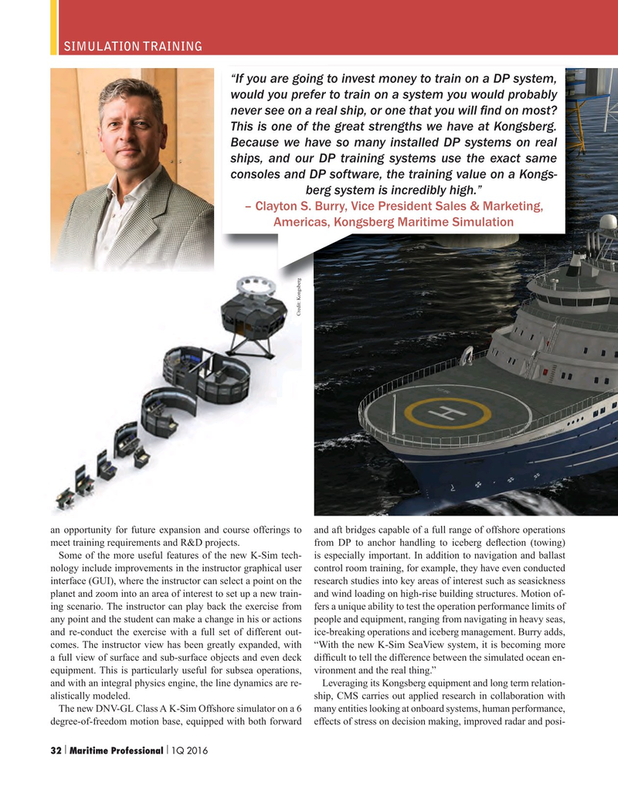 SIMULATION TRAINING “If you are going to invest money to train on a DP system, would you prefer to train on a system you would probably never see on a real ship, or one that you will ? nd on most? This is one of the great strengths we have at Kongsberg.